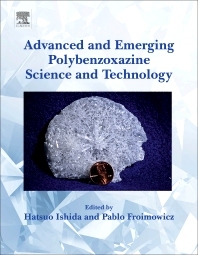 Advanced and Emerging Polybenzoxazine Science and Technology introduces advanced topics of benzoxazine resins and polybenzoxazines as presented through the collaboration of leading experts in the benzoxazine community, representing the authoritative introduction to the subjects. Broad topics covered include the recent development and improved understanding of the subjects, including low temperature cure, aerogels and carbon aerogels, smart chemistry in fire retarding materials and coatings, metal containing benzoxazines, rational design of advanced properties, and materials from natural renew. In the past twenty years, the number of papers on polybenzoxazine has continuously increased at an exponential rate. During the past three years, the number of papers published is more than the previous 17 years combined. The material is now part of only a few successfully commercialized polymers in the past 35 years. Therefore, interest in this material in both academia and industry is very strong. Pablo Froimowicz is the Head of the Design and Chemistry of Macromolecules Group at the Institute of Technology in Polymers and Nanotechnology (ITPN), UBA-CONICET, School of Engineering, University of Buenos Aires, Buenos Aires, Argentina. His original background is on Organic Chemistry, although he quickly developed big interests in the area of Polymer Science where he was, in time, awarded a Ph.D. in Chemical Sciences by the National University of Cordoba, Argentina, under supervision of Prof. Dr. Miriam Strumia, and a Ph.D. in Materials Science and Engineering by the Grenoble Institute of Technology, France, supervised by Prof. Dr. Alessandro Gandini followed by Prof. Dr. Naceur Belgacem. Pablo then moved to Toronto as a postdoctoral fellow at the University of Toronto, Canada, where he was directed by Prof. Dr. Mitchell A. Winnik, working on synthesis of specifically designed monomer and polymer as well as in micellization processes. Next, and interested in polymeric nanoparticles, Pablo joined Director Prof. Dr. Katharina Landfester’s research group at the Max Planck Institute for Polymer Research, in Mainz, Germany. There, he had also the opportunity to combine disciplines and work on the design and synthesis of responsive materials and nanomateriales toward different applications. Dr. Froimowicz then spent a sabbatical at the Grenoble Institute of Technology, France, where his interest in revalorization of natural renewable materials and sustainability was renewed. Prof. Froimowicz has been and is editor of different journals in the areas of general chemistry, organic chemistry, responsive materials, and polymer science. Since 2015 Dr. Froimowicz is a regular Visiting Associate Professor in the Department of Macromolecular Science and Engineering at Case Western Reserve University (CWRU), working with Prof. Dr. Hatsuo Ishida. Institute of Technology in Polymers and Nanotechnology, (UBA-CONICET) University of Buenos Aires, (Buenos Aires, Argentina).